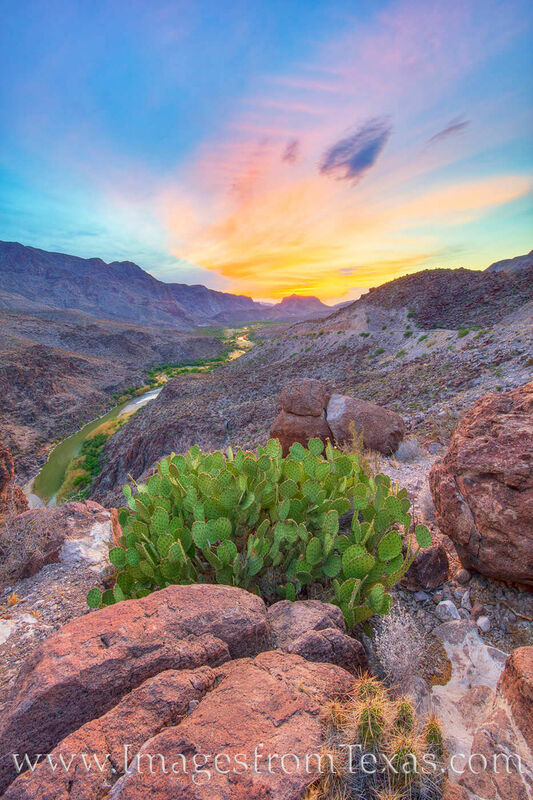 Big Bend Ranch State Park is a pleasure to explore, and some of the best views are easily accessible. One of my favorite locations is the “Big Hill” right off FM 170 that presents an overlook of the Rio Grande and distant mountians. Sunsets here can often be spectacular. For those folks willing to travel a bit further, this vista is the payoff.